One of my favorite drinks that I was introduced to about 15 yrs ago was iced coffee. 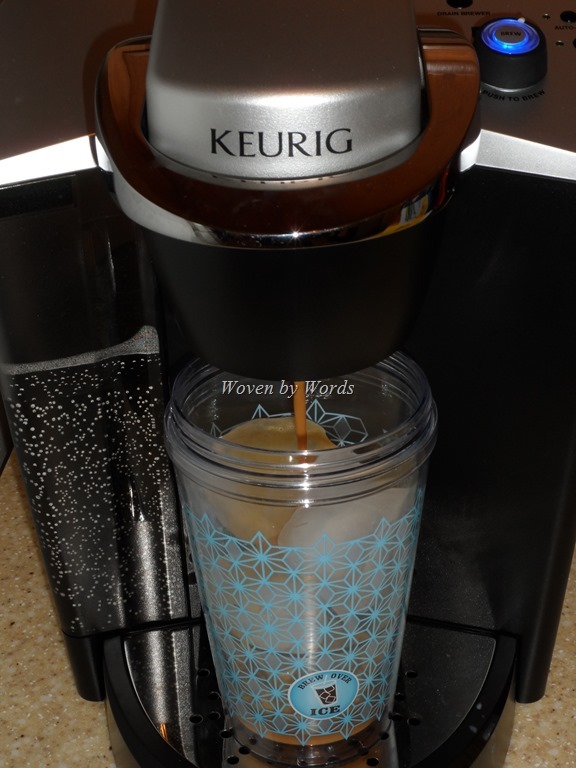 Then, about a year ago I found out that there were K-Cup options for my Keurig so I could have my own iced beverages at home. During the summer, these are exactly the kinds of drinks that keep me going! 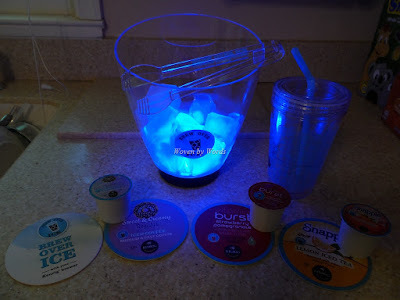 When the Brew Over Ice team said I could do a review & a giveaway, I didn’t think twice about it! What I just recently learned is that there are more than just iced coffee options. Snapple has several tea options and who doesn’t love Snapple? 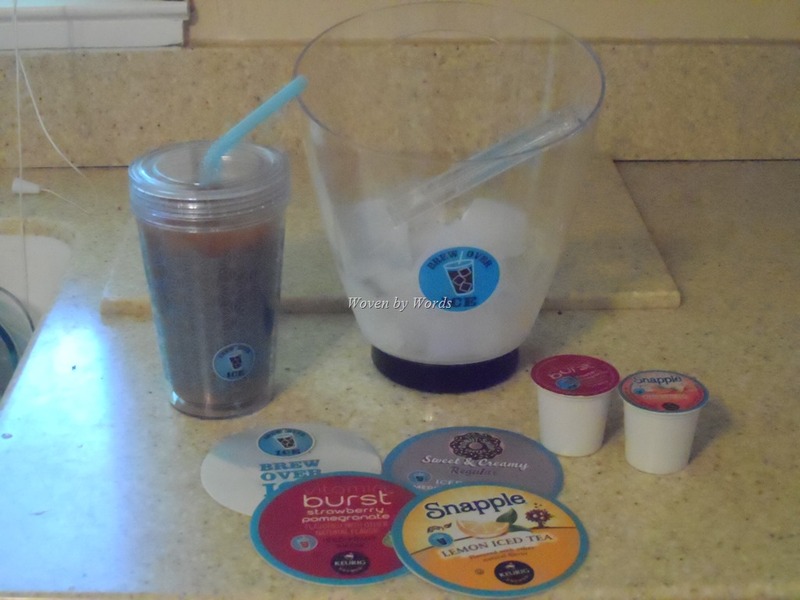 =) The Vitamin Burst flavors are ones I’m excited about! How great to make a strawberry/pomegranate or acai berry flavored drink at home! Yum! No need for boring drinks at home any more for for me to spend crazy prices for a fun iced drink! So, making these drinks is super easy and I like to use crushed ice. Too bad I don’t have that option in the new place. So, ice cubes it was. I put a good amount in, knowing that the hot drink would melt them. I know the instructions say to choose the 6-8oz options, but I like mine a bit weak at least with coffee so I chose the 10oz size. It filled up perfectly! I like to add a bit of flavor to my coffee drinks so I added a splash of peppermint mocha! Ahhh the perfect and most refreshing drink on a warm day like today! I didn’t have to go anywhere to make my drink and it was only some change to make it at home. Can’t beat that! Now, You get to win the products you see above! Woot! And that’s not all! 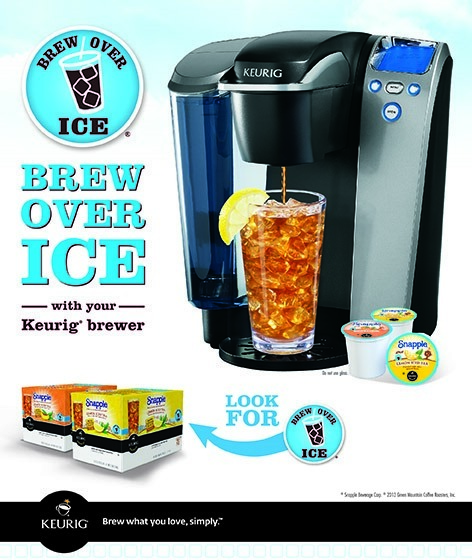 Be sure to enter the Brew Over Ice Sweepstakes! 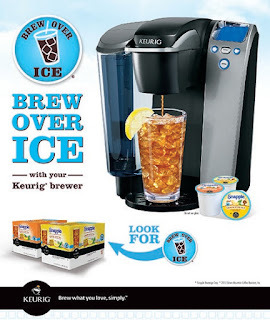 You can alwso download a $2 off product coupon and watch the Brew Over Ice video! I would like to try the Donut Shop Sweet & Creamy Hazelnut iced coffee. I would love to try the Strawberry Pomegranate Vitamin Burst! It sounds yummy! Thank you for the giveaway! I would really like to try Hazelnut Iced Coffee. That sounds really yummy to me. My husband loves the brew over ice and has tried all of them...his favorite is the half and half and donut shop..so Im hoping to win this for him as a gift for him. I'd love to try Donut Shop's Sweet & Creamy iced coffee blend!